Funeral service will be held at 11:00AM on Wednesday February 13, 2019 at the Zion Mennonite Church, Schanzenfeld. Viewing will be from 1PM-6PM on Tuesday at Wiebe Funeral Home, Winkler and at the church prior to the service. Interment to follow at the Church Cemetery. Donations may be made in Peter's memory to the Salem Foundation Inc.
Peter K Friesen leaves to mourn his passing three daughters, Helen Fehr, Tina and Dan Fast, Sarah and Abe Teichroeb; seven sons, Abram and Anna, Aron and Margaret, Cornie and Justina, John and Annie, Jake and Susie, Henry and Laura, Dave and Verna as well as 40 grandchildren, 81 great grandchildren and 37 great great grandchildren, seven sisters and their families. He was predeceased by his loving wife, Anna in 2011, one daughter, two sons, one son-in-law, three grandsons, one granddaughter and five great grandchildren as well as his parents, Cornelius and Helen Friesen, four brothers and one sister. From the family: We would like to say thank you for the many prayers for us during this time. Thinking of you, Sarah. Please convey my condolences to your sister from Ontario. May you find comfort in the Lord whom your father loved. 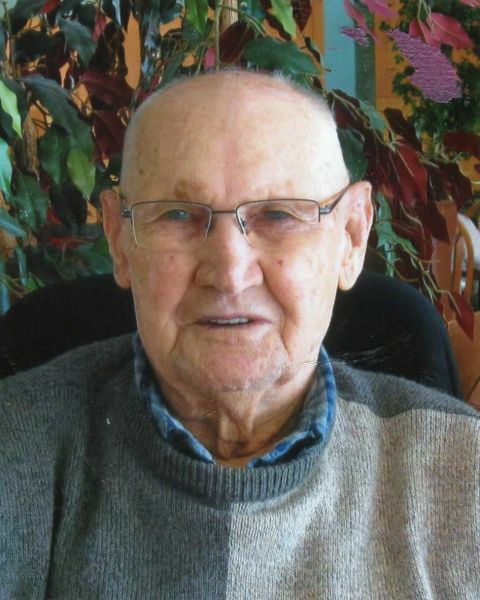 Sorry to hear of Mr. Friesen's passing. Whenever I would see him out and about he would always have a smile and friendly greeting. My condolences to the Friesen family.